What makes packaging so compelling (and fun) is that it’s often tactile, creative and interactive. It takes a focused, insightful mind to develop not only useful packaging solutions, but original and unexpected ones. These are traits Nintendo shares—a gaming company dedicated to tactile, creative and interactive products. 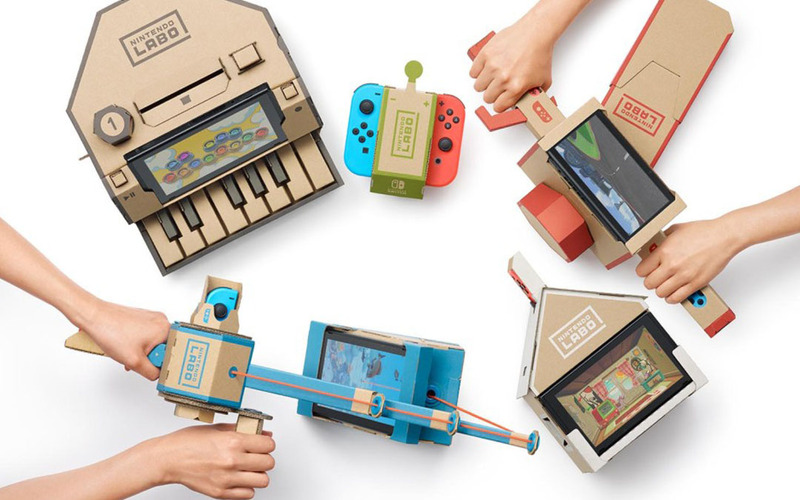 With their latest creation, the Nintendo Labo, it’s pretty clear they’re having a lot of fun with packaging. Or corrugate, to be more specific. 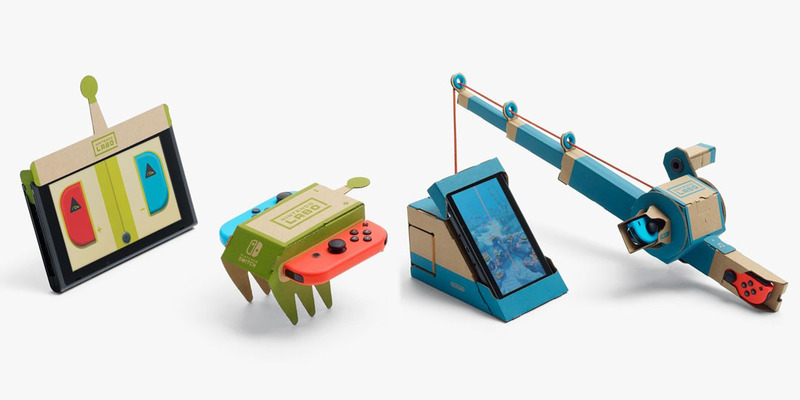 Developed as an add-on for the Nintendo Switch, the Labo is designed to take advantage of the Switch’s interactive features (like its rumble feedback, accelerometers, gyroscopes and infrared sensors). 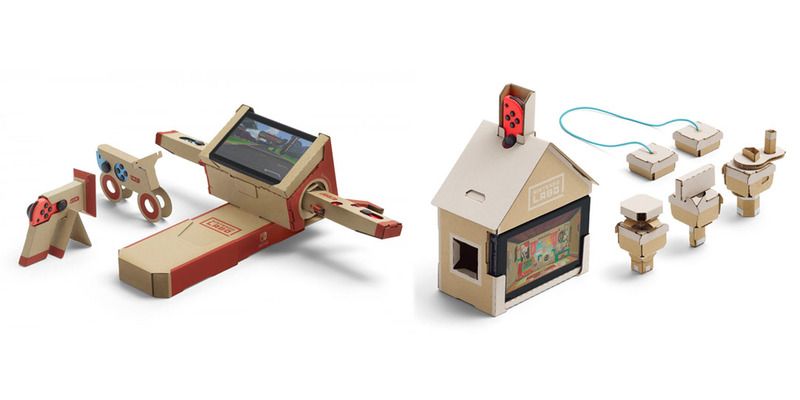 Its game cartridges allow users to play certain games in a more 3D-like fashion, with an extra tactile component thanks to the Labo’s construction elements. Sheets of corrugate are full of perforated pop-out pieces that fold and connect to create 3D objects and tools. The Switch’s Joy-Con controllers or touchscreen unit can be placed into them, creating an interactive and personal experience unlike anything a gamer’s likely had before. Here’s just a few examples of what this compelling and fun corrugate product is doing. Without the need for wheels, the vibrations of the controllers both drive and steer a pair of corrugated race cars. The possibilities for short sprints, long user-made race tracks and even rumble car brawls are endless. Just watch out for inquisitive cats, as they’re known to bat around and attack loud, foreign objects—an unexpected form of entertainment for sure. If you’re into angling, the controllers fit into the pole and reel of a corrugated fishing rod, and together the buttons and motion sensors simulate a deep-sea fishing game on the console screen. Slide the console and two controllers into the corrugated handlebars and you’ll enjoy the real-world actions of steering, turning and leaning in motorbike races. Try having that experience by simply holding two controllers in the air—the corrugate adds a tactile feeling you couldn’t get without it. If you’re into a unique experience that brings together both the digital and the physical, place the touchscreen into a corrugated house. Little corrugated nodules and buttons create a creature that’s worth watching and interacting with. Once again bringing the digital and the physical together, the corrugated piano allows the user to create musical pieces and experiment with sounds—all things that can be altered by the included corrugated nodules. And probably the neatest experience of all is the corrugated robot. Worn like a backpack with fists and feet connected by rubber bands, the gamer gets to feel like a robot smashing up landmarks or taking on other corrugated robots. Try getting that experience with just a set of handheld controls. Creative thinking without rational planning is never successful, and thankfully Nintendo has shown themselves to be masters of both. Knowing that users, kids (and cats) would put the corrugated pieces through their corrugated paces, everything is made from high-quality single wall corrugate. To ensure extra strength and stability, many pieces are folded multiple times to create strong, solid objects. Handled right, they’ll last a good while. And did we mention they’re intended to be decorated? While decals are included, everyone’s encouraged to grab their favourite art supplies and make Labo all their own. While packaging is always great for protecting and shipping products, the right mindset and planning prove that it’s easy to have fun with packaging. 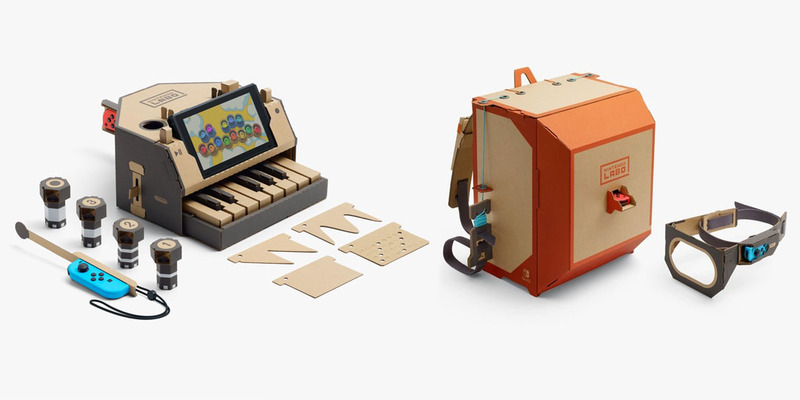 As the Nintendo Labo proves, it generates a tactile, creative and interactive experience that wouldn’t be possible with digital-only features.